At the intimate velodrome-shaped Kazan Arena, on the banks of the majestic Volga River, meandering under a rainbow of sunset colors, Portugal - Chile had the makings of a Confederations Cup classic with a 22-man army of overzealous zealots playing end-to-end football, a collective ‘tournament of champions’ trance. Within seven minutes Eduardo Vargas and Andre Silva squandered gilt-edged chances. After a brilliant defense-splitting reverse pass from Alexis Sanchez the Chilean striker dawdled on the ball one-on-one with Rui Patricio, taking a touch too long to get the ball onto his stronger right foot. The Portuguese goalkeeper spread himself to produce a fine save. At the other end Portugal should have taken the lead, with Cristiano Ronaldo’s low weighted cross, between Bravo and Chile’s defense, reaching the Portuguese number nine, who, astoundingly, failed to tap in the assist. Ronaldo and Alexis were providers in their teams’ moves, and, apart from their star power - they have carried their respective countries to maiden international success with Alexis’ Chile winning the Copa America in 2015, and, a year later, Ronaldo propelling Portugal to the Henri Delaunay trophy at Euro 2016, they also embodied a metaphor of their teams’ success and struggles anno 2017. An Ronaldo-Alexis juxtaposition is by its very nature an asymmetry - we live in a Messi-anic universe after all. 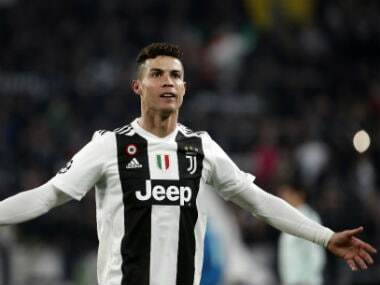 Ronaldo plays with regal zest, exalting all the talents of a 21st-century super-athlete, playing football the modern way – with precision at pace, often mind-boggling and searing, so much so that Messi is probably his only contemporary equal. 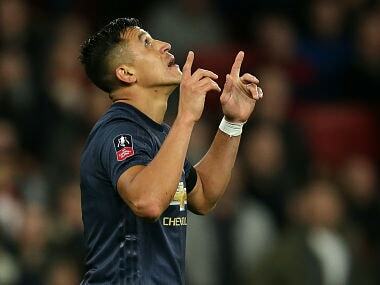 Ronaldo is a deity, Sanchez merely a subterranean. It’s their evolution on the field and their value in the national team that bounds the two players. At 32, Ronaldo has adapted - he is no longer the showy winger, but a refined and purposeful goalgetter, whose every movement today is more economic than aesthetic. He is the focal at Real Madrid and that is no different at Portugal. Sanchez has also transformed - from the brittle dribble wonder into a mini-powerhouse, with a bulking muscle mass, and more defined intensity and aggression off the ball. Gone is the ball-obsessed and leather-hogging Chilean twister. He is a player who sacrifices himself. But in their metamorphosis and aging lies also the problem. Ronaldo carries a rudimentary team on his shoulders. At Euro 2016 his contribution was instrumental – at times, dragging a mediocre Portuguese outfit through the matches. His predicament was Zlatanesque, a superb, once-in-a-generation and possibly once-in-a-country player, caught in an absurd squad of underachieving and limited players. Ronaldo’s new penalty box presence can’t obfuscate Portugal’s need for renewal. Nani, Ricardo Quaresma and Joao Moutinho belong to the CR7 generation, but Fernando Santos has been slow in ensuring quality succession in the Portuguese squad. At this Confederations Cup Bernardo Silva, with his cerebral vision and gossamer touch, proved with a mazy run midway through the second half against Chile, and Andre Silva offered short glimpses of a bright future for Portugal. But the Silva duo underwhelmed, were subbed by Quaresma and Nani respectively, and watched from the bench as Claudio Bravo flaunted his goalkeeping excellence in the penalty shootout. But Santos didn’t use this tournament as a lab. Neither did the low-key Chilean coach Juan Antonio Pizzi, who played as a player under his Portuguese counterpart at Porto. He took a full-strength squad to Russia, a team still much modeled after Marcelo Bielsa’s ideas. The Argentinean and Chile delighted with a bold style of high intensity and high pressing at the 2010 World Cup. In Brazil, at the last high mass of football, Jorge Sampaoli honored that blueprint. Pizzi isn’t competing with the Bielsea-Sampaoli model, rather he is using it to further Chile’s cause, maintaining a 4-3-3, tweaking it at times. Against Portugal the South American champions played with their usual grinta and grind, pressing and excelling in quick ball retention, a suffocating feature of their play. But as much as the Chileans - and the Portuguese - were playing in the here and now, this game was about their future, with one underlying conundrum: how long can Sanchez’s generation keep going? The Chile squad is the oldest at this Confederations Cup, with the bulk of team together for a decade. Their style of play is energy-sapping, with constant movement in and out of possession. They need to offer quick passing and close down their opponents. This is Chile’s fourth consecutive international tournament. Indeed, in the second half, Chile’s nagging physical fatigue surfaced again. Their intensity and pace dropped off after the hour mark, not much different from the game against Germany. At times Chile even resorted to the long ball. The game petered out with extra-time, but not before one last marvelous gung-ho Chilean onslaught in which Arturo Vidal and Martin Fernandez hit the woodwork. Chile, against all logic, had regained their zip and zest. Still, perhaps Joachim Low has outfoxed Pizzi, even before a kick in Sunday’s final. He has X-rayed his pool of talent with a focus on next year’s World Cup and long-term planning. That lack of forward planning may come to haunt the South American in the future.